Join AARP Foundation ElderWatch and the Colorado Attorney General’s office for a webinar on avoiding fraud and scams this holiday season. Recently, ElderWatch conducted a survey of Coloradans 50+ and their experience with potential fraud around the holidays. During the webinar we will go over survey findings and provide information about staying safe when shopping online, giving to charity and sending packages. 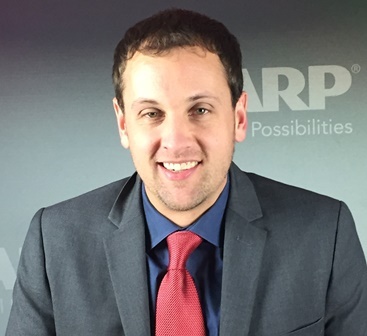 Mark Fetterhoff, Senior Program Specialist with the AARP Foundation in Denver, has worked on education and outreach to older adults for over 10 years. Mark currently works with a crew of dedicated volunteers to address thousands of inquiries each month about fraud, scams and financial exploitation as part of the AARP Foundation ElderWatch and AARP Fraud Watch Network. Jan Zavislan has been with the Colorado Attorney General’s office for close to 30 years. Jan has prosecuted many companies who violate the Colorado Consumer Protection Act and he is well versed on many of the frauds and scam happening in Colorado.